Interview with Caoimhín Ó Raghallaigh. As I write these words on a page, I celebrate my twenty-ninth birthday. Interestingly, to recount some memories from my childhood (as one inevitably does on a day like so) — some distant, others intimately near — a river-flow of music is interwoven between the snapshot of fleeting moments and scattered incidents. Growing up I fondly recall first coming across Irish traditional music, and the subsequent linkage between this world of sacred sound and the values of heritage and identity (perhaps becoming clear some time later). A band who immediately shifted the ground from beneath my feet were Planxty with their lineage of folk and traditional song. The adventurous instrumentation of bouzouki, mandolin, guitars, uilleann pipes, tin whistle and bodhrán opened up an entire new world of beautifully precious music. The masterful musicianship among its members — Christy Moore, Liam Ó Flynn, Andy Irvine and Dónal Lunny — formed a profound impact on me that opened my young eyes to the age-old tradition of Irish music and the ceaselessly magical beauty that surrounded these four corners of our island. Forward some years later, and a similar feeling of illumination and sense of miraculous discovery is drawn towards one particular musician, namely Caoimhín Ó Raghallaigh. A trusted friend of mine urged me to listen to an album entitled ‘Where The One-Eyed Man Is King’ by this “incredible fiddle-player”, little did I know what celestial sound awaited me. How could I have missed out on this album for so long, I thought then, as Ó Raghallaigh’s spellbinding layers of whistles, fiddles, Hardanger fiddle, flute and piano, not only conjured up the sound of an age-old tradition but distilled a new dappling of vivid colour into the ripples of sound. A unique approach to music-making is etched across the rich canvas of other-worldly sound, from the opening notes of ‘It’s All About The Rhythm Of Her Toes’, a delicate lament to the closing drone-based, ambient opus, ‘The Old Waltz’. Uncovered from the Journal of the Irish Folk Song Society, it was recorded that Brahms was enraptured with the Irish folk airs which he had heard played, and which he called “la musique des anges”. For these words perfectly surmise the power and glory of Ó Raghallaigh’s works, from his solo output to the rich body of collaborative work. 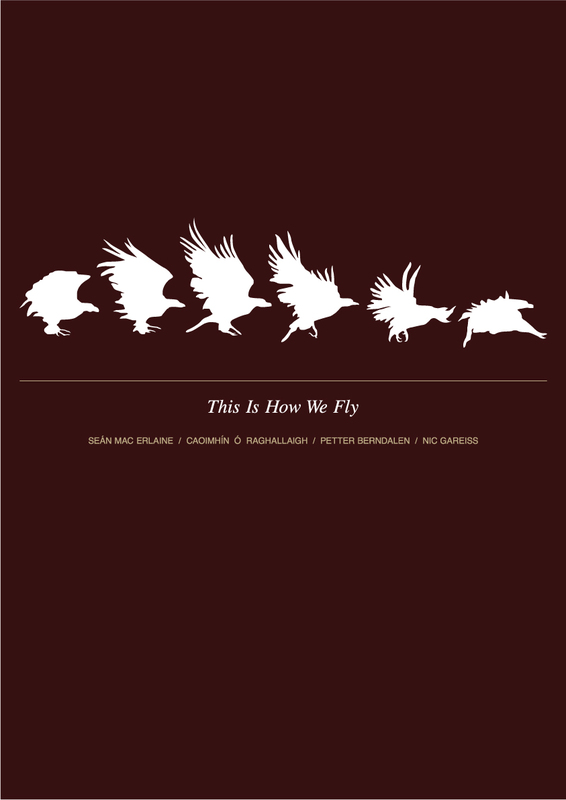 In addition to being an established solo artist, Ó Raghallaigh is a member of two groups: The Gloaming (Caoimhín Ó Raghallaigh, Iarla Ó Lionaird, Thomas Bartlett, Martin Hayes & Dennis Cahill) and This Is How We Fly (Caoimhín Ó Raghallaigh, Petter Berndalen, Seán Mac Erlaine, Nic Gareiss); he performs duos with dynamic Kerry accordion player Brendan Begley and Dublin uilleann piper Mick Ó Brien and plays in a trio with Martin Hayes and Peadar Ó Riada. The upcoming double-bill concert with New York-based cellist Julia Kent alongside Ó Raghallaigh in Cork’s Triskel Arts Centre (taking place on Saturday 1st March) will be Caoimhín Ó Raghallaigh’s first return to the Triskel since last year’s special live performance with The Gloaming and will provide audiences with the chance to witness the immaculate musicianship and immense talents of Ó Raghallaigh in a special solo performance. Ó Raghallaigh has released eight albums to date: ‘Kitty Lie Over’ and ‘Deadly Buzz’ with Mick O’Brien; ‘A Moment of Madness’ with Brendan Begley; ‘Triúr Arís’ and ‘Triúr sa Draighean’ with Martin Hayes and Peadar Ó Riada; ‘Comb Your Hair and Curl It’ with Mícheál Ó Raghallaigh and Catherine McEvoy; the eponymous debut from the band This is How We Fly; and his solo ‘Where the One-Eyed Man is King’. This Is How We Fly is one of those adventurous and compelling artistic endeavors that truly reveals music’s endless possibilities. The self-titled debut album is a sonic marvel with one foot stepped in tradition and the other rooted in daring experimentation. This Is How We Fly is a melting pot of cultures and in turn, offers up a richly diverse kaleidoscope of sublime sounds. Ó Raghallaigh’s hardanger fiddle is blended with fellow Dubliner Sean Mac Erlaine’s distinctive clarinets and live electronics (Mac Erlaine’s solo Ergodos release ‘Long After The Music Is Gone’ is another essential listen) and Stockholm’s Petter Berndalen (drums and percussion) and Michigan’s Nic Gareiss (percussive dance). A truly captivating world of sound is unleashed by this highly accomplished quartet. Most recently, the long-awaited arrival of The Gloaming’s self-titled debut album has been gracing the earth’s atmosphere. A common thread that connects these gifted musicians together is the masterful use of language, sentiment and expression. Ó Lionáird’s mesmerising voice blends majestically alongside the fiddle of Hayes and Ó Raghallaigh’s trusted Hardanger d’Amore. The opening ‘Song 44’ comprises of lyrics adapted from original poem no. 44 by poet Domhnall Mac Cárthaigh. An unfathomable beauty is unleashed by The Gloaming that utters, with every sacred note, to phrase a poet: “the godly-given prize” of true art and treasured music. ‘The Necklace of Wrens’ contains lyrics adapted from the original poem by Michael Hartnett. The piano line of Bartlett serves the aching pulse to Ó Lionáird’s fragile vocal. Some moments later, Cahill’s guitar adds new layers of depth and elegance. The words and music of ‘Opening Set’ — the album’s longest cut — represents the crowning jewel of the group’s towering debut album. Distinct movements begin and end throughout the heavenly sixteen minutes, as the instrumentation of guitar, voice, fiddle and piano casts an everlasting spell upon you that further confirms the abundance and exceeding beauty of its native music. 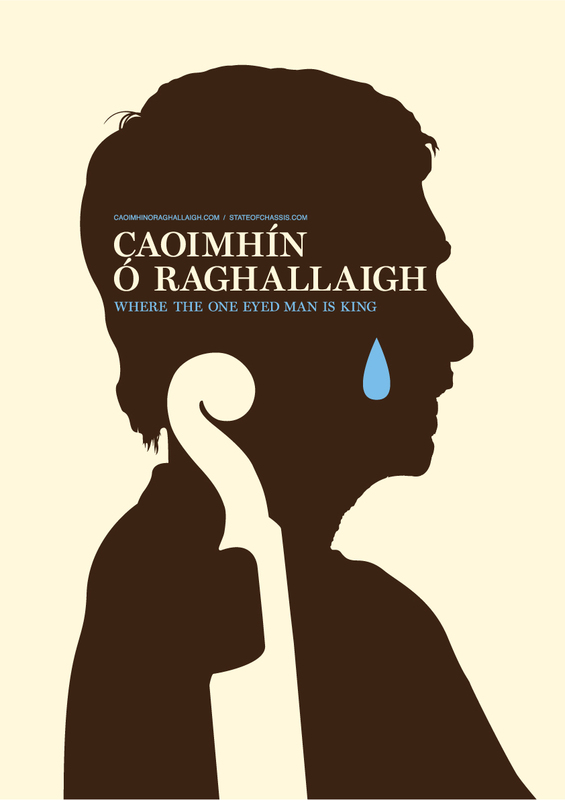 My first introduction to your awe-inspiring music was 2007’s ‘Where the One-Eyed Man Is King’, which I discovered through a friend of mine, sometime later. I absolutely adore your fiddle-playing. I feel your beating heart as I listen to the gorgeous compositions. Please take me back to this particular space and time, and share some of your memories of writing and recording this remarkable album? CÓR: I first met Iarla Ó Lionáird in July 2005, and he immediately became a huge inspiration to me: although I had the desire to branch out, create something new, I had no idea where to begin. Iarla gave me a list of basic recording gear to buy: a PowerBook, Logic Pro, two Brauner mics, the MOTU Traveller. With this new kit, I hid myself away in the wonderful Tyrone Guthrie Centre, and just became a child with new toys for a few weeks, experimenting and adventuring in a new world of possibilities. There were two other inspirations at the time: my artist friend, Fiona Hallinan, with whom I was making ‘Audio DeTours’, and an album called ‘Miniatures’, featuring 60 composers, each of whom were asked to make a one-minute track, and which I had discovered through Peadar Ó Riada, who was one of the sixty. I would love to gain an insight into your technique and the development of your drone-based fiddle style over the past few years? CÓR: Initially, it was just a question of letting the music that was inside get out. Throughout my teenage years I gorged myself on traditional music that was drone-based, you could say: Patrick Kelly, Pádraig O’Keeffe, the Star Above the Garter, Mrs Galvin, as well as listening to endless hours of the uilleann pipes, basking particularly in the sound of Willie Clancy’s music. When I finished my physics degree at university, I spent three years making uilleann pipes myself, and found a much deeper understanding of drones and intervals through studying with the wonderful pipemaker, Geoff Wooff. I had also come across the Hardanger fiddle in 1999, and had begun to let that music seep into my subconscious. The main teacher, though, was experimentation. I had begun to cross-tune fiddles, so that instead of fifths between the strings I had fourths and sixths, sevenths and seconds and thirds both major and minor. Every interval requires a different micro positioning of the fingers on each string, and trying to internalize that information until it became second nature was probably the best teacher you could ask for. Also, writing new music in those new tunings meant that you could really revel in the possibilities contained in each one, really listen deeply to the sound and react to it in a very different way than you would in trying to adapt existing material to those tunings, I think. Another large factor in developing this style has been the tools I choose to use: the Hardanger fiddle, with its flatter bridge and gut strings, and using a baroque bow, all of which conspire to make a non-drone based style unthinkable. There is a loving sense of joy and fulfillment born out of your music. Please discuss for me when you first started playing music and what were the surrounding influences that helped you on the path you now find yourself firmly on? CÓR: I had a false start at the age of 6. After pestering my parents for a fiddle, we couldn’t find a fiddle teacher, and I ended up being sent for classical violin lessons: a disaster, which ended in the teacher summoning my mother to tell her “You’re wasting your money and my time. He’ll NEVER be a musician”. At the age of 10 I was reluctantly sent to traditional fiddle classes, still having the bitter taste of my previous experience informing my view of music. Yet after six months, I met some wonderful kids of my own age, who remain some of my closest friends to this day, and it was this friendship which really made the difference, always swapping tunes with each other and spending summers together at festivals, playing music all the while. At one stage in my teens, I was going to two fiddle classes a week, plus a whistle class, a flute class, two uilleann pipes classes, along with various group and band practices. I was getting upwards of 20 new tunes a week, every week. I had some wonderful teachers, and also some wonderful playing companions. There can be something magic that happens when two people disappear into the music together, and I had one or two friends with whom I would really disappear with for hours, exploring music in something like a trance. There is something very profound about the act of playing music together, a communication with something abstract, a nearly meditative experience. That approach is something I grew to value as a teenager, and which still informs my approach to making music. One of my teachers was Michael Tubridy, and through him I got some part-time work in the Irish Traditional Music Archives, which continued for many years, throughout my time in college. The music I heard in the Archives had a big effect on me, and old world of sound and texture that seemed in some way to have been abandoned by intervening generations, and it seemed to me to be a world of riches that could be mined for gems of approach and thinking. Another big influence was meeting Tony Mac Mahon, and learning how he approached listening to and making music. I had always been profoundly moved by his playing, and he was a very interesting person to be around and to be influenced by. Your music has been described as being heavily influenced by the uilleann pipes and the music of Sliabh Luachra. What is it about both these worlds of music that inspires you? CÓR: The sound and feel of that music is the primary thing, I think. It’s also primarily the flat pipes which enchanted me, which are a very different beast to the concert pipes. The flat pipes have this beautiful gentle warmth, a roundness, richness and depth to the sound they are capable of producing that totally captures me. Flat refers to being lower than concert pitch, be it C#, C, B or Bb, and I always tuned the fiddle down low myself: there’s something about being down there that forces you to be more laid-back, to play slower, with more ease. Both the flat pipes and the music of Sliabh Luachra have that laid-back ease, and an inherent depth of complexity embedded in the microscopic detail of every note, rather than an explicit showiness and virtuosity. It’s that depth of complexity that I love, as though every note they play is biting into a fresh and juicy peach, reveling in letting the juice run down your chin. Every time they play a note, it’s new. There’s a wooing of the unknown in the way they play, a relinquishing of control, a desire for allowing the music itself to be in unpredictable control, not the musician. ‘A Moment of Madness’ is a recent collaboration between you and Brendan Begley. The duets of accordion and fiddle are things of sheer beauty. I love the energy inherent in the music. Please discuss this particular collaboration and the choice of songs you chose to record together? CÓR: Spontaneity, unpredictability, dynamics and energy are all aspects of Brendan’s playing I have admired for a long time. We tend to choose tunes that enable you to disappear into them. Some tunes, often quite simple melodies, seems to let you disappear more readily than others: it seems as though you’re not involved in the act of playing the tune, only involved in the act of disappearing into the music. We also seem to choose tunes that tend to haunt us, that thing where you’ll have a tune on your brain 24/7, last thing you think of at night, first thing in morning, singing it to yourself all day long. What are the albums you have been listening to most these days? CÓR: Susanna Wallumrod & Giovanna Pessi’s ‘If Grief Could Wait’ on ECM. Other than that, my new old car only has a tape player, so it’s mainly odd old cassettes from jumble sales and charity shops. Always listening to some favourites, like Brittany Haas & Dan Trueman’s ‘CrissCross’; Nils Okland’s ‘Monograph’; ‘Officium’ by Jan Garbarek & the Hilliard Ensemble; ‘I gCnoc Na Graí’ by Noel Hill & Tony Mac Mahon etc. etc. You are an integral part to the amazing collective that is The Gloaming. Your live performances across the country were truly spectacular special moments in Irish music, and beyond. As an artist and composer, performing alongside like-minded talents such as this, must be highly enriching. I would love for you to discuss The Gloaming and how the band came into being? CÓR: Martin and Iarla had been talking about “doing something together” for years, and asked the rest of us to come on board. Both are great friends to me, have been hugely helpful and inspiring down the years, and a huge privilege for me to make music with them. Before our first gig, we got together for a few short days and got the material together, under pressure. That’s it, really. We just meet up, do the gigs, and scatter. The recording process was lovely, really rewarding, and we’re all just thrilled with the result. You are currently living in Dingle, Co. Kerry. A beautiful part of the world. I can only imagine how inspiring it must be to live there. How does this place shape your music? CÓR: I’m right out on the very furthest tip of the peninsula, in Dún Chaoin. That place has been shaping my music since I was 17 or 18. I walked over the mountains from Tralee to Dún Chaoin on my Easter holidays back then, with a tent and a fiddle, and the place went right into the marrow of my bones, in a way. Every time I’d play music after that, I’d close my eyes, and that’s where I’d be. It’s a beautiful place, with incredible people, language, landscape, lore. I find particular inspiration in the work of my neighbour, the artist Maria Simonds-Gooding. I have been finding my head haunted by the aluminium pieces she has been working on the last few years, matched, in my mind, to some of Beckett’s words. Tell me more about the solo project ‘Film and Fiddle’ that is in development for touring in 2014? CÓR: I made a one-off test of a show for the Project Arts Centre a few years ago to see if there was anything in the idea of a one-man show of fiddle and film. I had walked the mountains of New Zealand with a camera, taking time-lapse footage of that incredible landscape. Along with some stop-motion video and some “virtual guest” musicians, I made an hour-long show of all that, with me standing in front playing the fiddle. Basic enough, but it worked, in a way, and it felt like a really rich way of giving people a window into your mind. Sometimes, being from the world of traditional music, I wonder how to give people a window into that world, to share what I love about it. The same with other things in life I love, like being in the mountains. I want to start from scratch and make a really compelling, rich, wonderful thing of it, and a very Irish thing, but somehow hopeful and exciting and beautiful. I’m hoping to tour it in October 2014 with the help of Music Network, if we can drum up interest from Arts Centers around the country. Caoimhín Ó Raghallaigh will support Julia Kent as part of a special solo performance at the T.D.C. Triskel Arts Centre, Cork, on Saturday 1st March 2014. Tickets are €12, available HERE.